1.11 Who may participate ? All clubs which are members of a national association recognized by the International Federation of their sport may participate in the Paris World Games. In countries where sport is operated by the schools we also allow teams affiliated to their school associations. There is no limit to the number of players in each team. However, the number of players that can be used in each match is limited. This rule is specified in the specific rules of each sport. We recommend that all players use the same shirt number throughout the tournament. The organization of the Paris World Games cannot accept all the teams that wish to participate. The organization may therefore refuse the registration of some teams. The teams that have registered and paid the registration fees have first priority. A team can register a maximum of three (3) per category, unless an exception is granted by the organization. All players must be insured on the pitch where all members of the delegation (players and accompanying adults) must have a liability insurance. The organization may require from the person in charge of a club the insurance certificate of the structure. Participants from countries that have no medical insurance agreement with France (such as the European Health Insurance Card) must have personal medical insurance. All clubs must be in possession of the medical certificate for each player. This medical certificate must state precisely that the player is fit for the practice of the sport in which he/she participates in the Paris World Games. This certificate may be required by the organization during the visual inspection. All participants in the Paris World Games must be able to present an official written proof of identity at any time of the competition (document issued by an official administration of the state of the nationality of the person concerned which includes an ID picture). In the event of a protest related to the authenticity of the document, the person will have to provide a valid passport or ID within the 24 hours of the receipt of the protest, under penalty of exclusion from the competition. The notification of the protest can be done by all appropriate means. Teams whose headquarters is outside the Paris Region must imperatively indicate the means of transportation to be used to reach the Paris region in the “My team info” page of the website. Teams must also indicate their arrival and departure times and the flight or train numbers for those using these means of transportation. This information must be provided no later than the 1st of June. The organization may ask teams to provide a copy of the transport tickets. Teams that have not provided this information by this date will not be included in the list of participating teams in the schedule of the tournament. Teams from countries requiring visas to travel to France will be required to provide a copy of visas by the 1st of June. The organization can provide assistance in consular proceedings by means of an official invitation or by the production of documents explaining the details of the stay of the team in Paris during the event. The organization cannot be held liable in any way for any refusal to issue visas or for any costs that shall result from the proceedings. • 01/09: opening of registrations. • 10/04: deadline for registration and receipt of final payments. No registration will be granted by the Paris World Games without the payment of the corresponding deposit. The organization of the Paris World Games has the right to refuse the presence of the team at the event if the full price of the stay is not paid before the scheduled date and will retain the sums paid as cancellation penalties. Regardless of the registration date, the amount corresponding to the registration fees of a team is requested at the time of registration. For registrations made after 10/04, a deposit of 30% of the total price of the stay is requested at the time of registration. The full price of the stay will have to be paid during the thirty (30) days following the registration. For registrations made less than fifty (50) days before the date of departure, the full price of the stay is due to the Paris World Games at the time of registration. 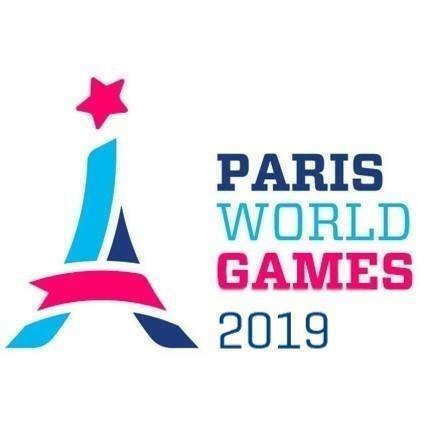 In accordance with article L.121-20-4 of the French Consumer Code, teams registered to the Paris World Games do not benefit from the seven-day cancellation period. All payments must be made in EUROS to the bank account of the Paris World Games whose details are given below. IBAN CODE: FR76 3005 6009 3509 3500 0786 818. Please note that all banking transactions must be carried out by clubs or agencies approved by the organization. • 6 nights accommodation from 7 to 13 July. • 18 meals from the dinner on Friday 7 to the lunch on Thursday 13 July. • Unlimited public transport in Paris from the arrival at the accommodation on the 7th until the end of July 13th. Shorter offers are available in some specific sports. The details of the services to be taken into account for these formulas are those that accompany the offer. University/Gymnasiums offers do not include breakfast. Clubs mays stay extra nights with the agreement of the organization. It is important to observe for the clubs booking extra nights that it does not give any direct access to the extension of the meals and transportation bookings offered during the week. These extra services can be booked as an option from the organization. The clubs may subscribe various options from the Paris World Games organization (airport transfers, extra nights, additional meals, transportation pass...). The subscription to these options does not give any right to the aforementioned benefits if they have not been subscribed. The Parisian clubs that register at the Paris World Games are entitled to the benefits referred to in paragraph 3.13 above. Apart from any options they may have subscribed to. In addition to the payment of the team registration, the participation of the clubs from Paris Region depends on the production of a written commitment letter from the club signed by the chairman. This letter needs to be sent by the club as soon as the registration is done. Teams may request to add participants or change their accommodation until June 1st. The organization will try to satisfy the demands of the teams to the extent of available places. Should the requested changes not be satisfied, the organization will notify the teams of this impossibility by any means. The teams will then have the possibility to retain their place in the formula previously reserved or to cancel under the conditions provided in the Article 5 of these General Terms & Conditions. Any reduction in the number of participants is equivalent to a partial cancellation. In addition, the renunciation of one of the services to which the team has subscribed will not be the subject of any refund under different conditions from those provided in the Article 5 of these General Terms & Conditions. Any additional option or night booked to the Paris World Games is owed by the teams or participants. After June 1st, any substantial change in airport transfer schedules amounts to a cancellation. The deadline for subscribing to an option or an additional night is June 1. The organization may have to modify unilaterally the place of accommodation of a team until its arrival date. The team will be subject to reclassification in an accommodation of a range at least equivalent. The organization must notify the team concerned by any means as soon as possible. The postmark shall be regarded as constituting proof to determine the date of dispatch. In any case, the organization of the Paris World Games will retain penalty fees calculated on the base of the total price booked for by the delegation and will depend on the cancellation date, according to the following conditions. * Team registration is never refunded regardless of the cancellation date. If you have purchased an insurance package, its amount will not be refunded. If you decide to cancel on your own initiative, it is up to you to carry out the procedures with your insurer, even if you have subscribed to insurance through our partner. In the event that the tournament cannot be held or is delayed, for reasons beyond the control of the organizers (in case of Force Majeure) or as a result of events not attributable to gross negligence or a manifest error made by the organizers, the organization of the Paris World Games cannot be liable to the delegations for the damages suffered. Damages shall be understood here as financial or material loss such as transport ticket expenses, accommodation expenses or other expenses incurred in connection with the stay of the delegation. In such circumstances, the organization still has the right to retain all or a part of the registration and / or accommodation fees if they have already been collected by third parties or to reward them in the form of assets for a future participation of the delegation to the Paris World Games. However, the organization will endeavor to reimburse costs that have not yet been received by third parties. The organization of the Paris World Games is in no way liable for the wounds or economic losses caused by any armed conflict, terrorist acts, strikes, or any other acts depending on the public authorities. The decision by consular authorities not to issue visas for all or part of the delegation does not imply any right to a specific reimbursement for the delegation concerned. The conditions stipulated in articles 4 and 5 of these General Terms & Conditions apply automatically to these situations, regardless the reasons for this refusal and regardless of the quality or the number of the persons concerned by these refusals. The organization reminds the teams that the persons in charge of the delegation are responsible for the good behavior of all the members of the delegation. The organization recalls that the team is bound by the following regulations. The teams are committed to respect the rules of procedure of their place of accommodation and to comply with them. It is up to the hosts to apply them to the participants as well as to all of their clients, their decisions are not involving in any way the organization of the Paris World Games. In any case, the places of accommodation must be silent between 10PM and 8AM. Accompanying persons must be particularly vigilant on this point. A person in charge of the delegation must be permanently close to the children. The teams are committed to respect the rules of procedures of the restaurants and to comply with them. It is up to the restaurants to apply them to the participants as to all of their other users, their decisions not involving in any way the organization of Paris World Games. The teams shall respect these General Terms & Conditions which commit them to all the components of the Paris World Games organization. The organization recalls that the Paris World Games are placed under the values of fraternity, respect and exchange, values that must prevail in all circumstances. It is important to note that all French Laws apply to all teams regardless of their nationality, as soon as they enter the French territory. All of these laws can be found on www.legifrance.gouv.fr. The organization reminds all the teams that French law prohibits the consumption of tobacco in all places for collective use and that this prohibition also applies to sports facilities. It is also forbidden to be under the influence of alcohol in public space. Unlimited access to public transport (bus, metro, tramway) in Paris is included for participants who have subscribed to an accommodation for the tournament. The PWG-Transport Pass is activated on Friday 07/07 at the arrival at the accommodation and ends on Thursday 13/07 evening. The PWG-Transport Pass is valid for all this period for zones 1 and 2 of the RATP. For more details, please visit www.ratp.fr/plan-interactif/. Transfers from the airports to the accommodation are optional. We invite clubs to contact the organization for any questions or information on this subject. We can be reached at info@parisworldgames.com. Clubs will note that transfers refer to round trips from Charles de Gaulle and Orly Airports. The price of these transfers are available on request. The Paris World Games has subscribed to a civil liability insurance contract with Allianz through Jean-Luc Chimier, Allianz General Agent. Guarantees for cancellation or interruption, personal injury and death are not included in the services offered by the Paris World Games. The organization strongly advises you to take out additional insurance. The organization can be reached at info@parisworldgames.com to provide you with any information on the subject. The organization reminds you that it is not responsible for theft or damage to property and recommends you to not leave any valuables or money unattended during the tournament, whether in accommodations, changing rooms or on the fields . If the organization of the Paris World Games works with providers carefully selected according to precise criteria, it does not replace the liability and the insurance of these providers. The liability and insurance of the organization are not a substitute for those of the teams for any damage they may cause to other participants, service providers or third parties. The tournament will be played in accordance with applicable regulations of the international federation or of the French federation of the sport concerned. The specific regulations for each sport are available on the page of the sport on the website. Dispensations are granted in girls tournaments. Teams may participate with 2 players born no more than one calendar year before the category in which the team is registered. Girls can play in boys teams up to category U15. Teams coming from countries that use the August 31st rule may use players born between September 1 and December 31 of the calendar year prior to the category in which the team is registered. Teams participating in tours (several tournaments consecutively) may benefit from the same dispensations as in other tournaments provided that they obtain a written authorization from the organization. They will be required to must carry this written authorization to each game. The games are refereed by official referees from different countries. In exceptional cases, official referees may be replaced by voluntary referees of the organization, who shall have the same duties as soon as they are appointed to the game. Appointments may be notified by any means by the organization. The organization may impose sporting sanctions including the exclusion from the tournament. In accordance with the Sport Code, these sanctions must be justified and respect the principle of adversarial proceedings. A specific scale to each discipline is established by the organization to regulate these sanctions. These sanctions may be cumulative to the police measures that can be taken. The teams play a minimum of 4 games. A win brings 4 points, a tie 2 points, a defeat 1 point, a penalty 0 points. The first two of each group qualify for the A-Playoff, the teams ranked after 2nd place will play in the B-Playoff. During the final round, the games follow a knockout system. Each player receives a reward. For the winners, the Paris World Games Trophy will be awarded (Gold medal). For the finalist teams or those reaching the semi-finals, a trophy will also be awarded (Silver and Bronze medal). The official schedules and venues are those indicated by the official application of the Paris World Games. This information may be changed after notification by the organization within a sufficient period of time. Teams must be present at the venue at least 30 minutes before kick-off time. Any team absent from the kick-off will be considered as a walk-over. The missing team loses the game and will be suject to a penalty (0 points in the group stage and elimination in the final stages). The present team will then be considered as winner and will be awarded a number of points / goals according to the sporting regulations specific to the discipline concerned. Each player must be able to prove his or her age and identity during the registration of the team for the tournament. He/she will have to present the documents provided for in Article 2 of these General Terms & Conditions. He/she will then be given a bracelet of color corresponding to the category in which she/ he participates. The refereeing body shall check the color of the bracelets of all participants before each game. Each team must be able to prove the identity and age of all its players if the opposing club requests to check. Failure to present an official identity document according to Article 2 above will prevent the player from participating in the game. The fields of the Paris World Games are approved by the competent Federations. Some fields have specificities related to the equipment of the players. Thus, it can already be noted by the teams that cleats with screw in studs are not allowed on the fields using synthetic surfaces. Finally, the specific equipment to each discipline will be specified in the specific sporting regulations and will apply to the participants of the sport concerned. All competition-related decisions fall within the purview of the disciplinary commissions specific to each sport. The decisions of the specific disciplinary committees have authority. These decisions cannot be subject to pecuniary disputes. Claims based on all the non-sporting services are to be addressed to the commercial department of the Paris World Games. In the event of a dispute, the parties agree that, prior to any legal action, they will attempt to find an amicable solution. If the amicable resolution fails, they will appeal to a professional mediator, which according to Article 2238 of the French Civil Code will have the effect of suspending the limitation period of any action at their disposal. The intervention costs are divided with 50% for each of the parties. An individual interview and at least one meeting are set up with the mediator in order to put an end to their dispute. The courts of Paris will have exclusive jurisdiction to adjudicate any dispute arising under or in connection with the general terms and condition hereby stated, unless an amiable settlement is reached. The acceptance of the General Terms & Conditions by the clubs and players gives authorization for reproduction and representation of photographs and videos made in case of media coverage, unless contrary written information is sent to the Paris World Games on the day or at the latest before the end of the week of the tournament. As a result, the club and the players authorize the Paris World Games to broadcast the images taken in connection with the event. The images may be exploited and used directly on all forms of media known and unknown at this date without any limitation of duration (press, brochure, display, internet ...) for the promotion of the Paris World Games. The customer acknowledges that he is fully entitled to his rights but cannot claim any wage for the exploitation of the rights referred to in this paragraph. In addition, the acceptance of the General Terms & Conditions by the clubs and players constitutes agreement for the distribution on the website and the official application of the Paris World Games of all the information on the players informed by the clubs on the website tab “My team info”.